Did you know that the chemicals in your household products, beauty products, and even your food are…. Toxic chemicals are no joke. But luckily, I’m here to gently guide you through the process of eliminating them from your life! Click through the 4 steps below to start a step-by-step process of ridding your life of harmful chemicals, minimizing your exposure to obesogens and disease causing toxins, and beginning the total overhaul of what you put in, on, and around your body and that of your family and pets. This process is much less daunting (and expensive) than you think, and will be so well worth the effort. Join me in following these 4 simple steps, and I promise you will be looking and feeling better in no time! 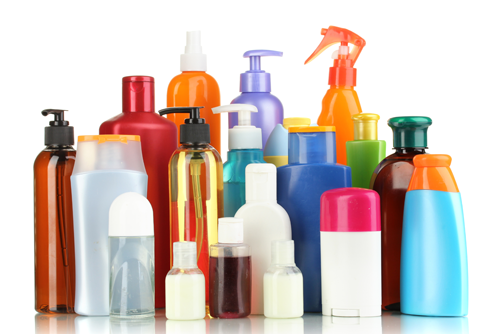 Learn the most harmful chemicals found in your beauty and household products and what they do. Click for a guide to healthy, non-toxic household products to replace all the chemicals you’ve eliminated! Discover some of the best in organic and natural beauty and grooming products, and where to find them! Learn how to make your eating work FOR you and not against you, ensuring optimal health and longevity, healthy weight management, and energy! Did you find this article series helpful? Please share it on Twitter! TO SIGN UP FOR OUR MAILING LIST! You’ll also get instant access to our 3 Day Spring Cleanse to help kickstart detox of your body and life!